First off, never fear. The Gardens Mall and CityPlace are both intact and still in business. 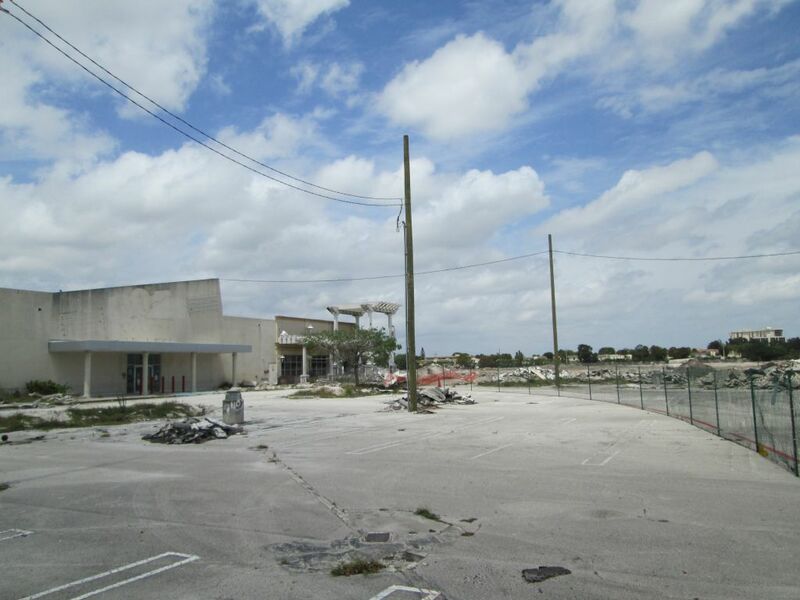 The last few posts have been part of an ongoing experiment in which I posted the same photo of the demolished Palm Beach Mall but specified various locations for the caption to create the sense that there is a trend of demolition taking place, hopefully creating a sense of panic among tourists and residents of Palm Beach County who rarely venture outside their homes. Then I came up with the words “Generic Demolished Destination” as the basis of the caption and began to explore the possibilities of its usefulness. For example, if your date wants to go out to dinner at an extremely expensive restaurant with entrees way out of your budget, you can just present the below photo and tell your date that the expensive restaurant has been demolished and that you’d rather grab some sandwiches to go from your local sandwich shop. I foresee the Generic Demolished Destination photo coming in handy to get you out of various potentially uncomfortable and awkward situations, such as dinner at your in-laws or that expensive family vacation you don’t want to take. I already foresee the controversy of showing the Generic Demolished Destination photo to your kids and telling them that Disney World is no more. As a consequence, this would carve such deep emotional scars that your kids will conspire to have you moved into a nursing home long before you retire. Use the Generic Demolished Destination photo at your own risk. I refuse to be held responsible for whatever happens afterwards. 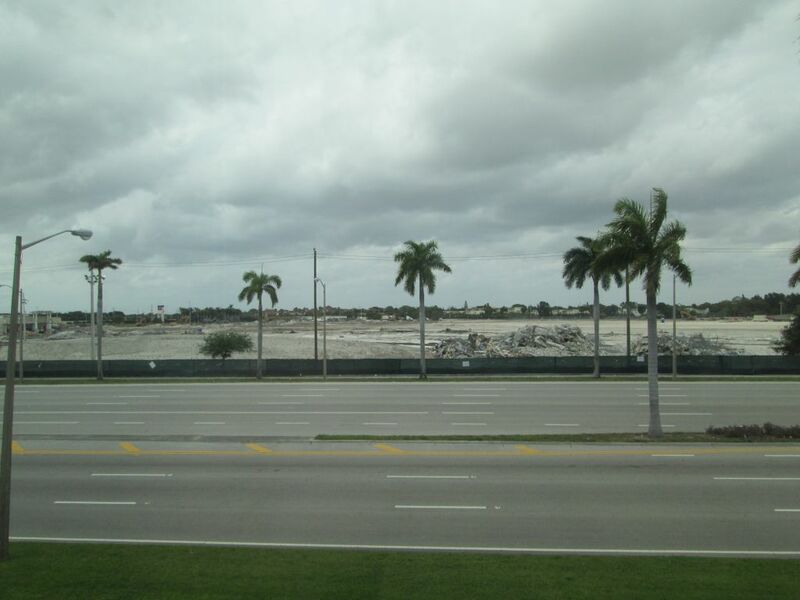 After years of standing as a vacant eyesore, the Palm Beach Mall has finally been demolished to make way for an outlet mall. I couldn’t resist the opportunity to take a quick drive there for some pictures. I took great care not to trespass on the construction site, choosing instead to stay behind the chain-link fence that was set up to border the site. The empty building here was once occupied by George’s Music Superstore, one of the last stores to close at the mall. Next door to George’s is another vacant building where the Borders bookstore used to be. The main entrance that once stood next to Borders is now gone. This picture was taken in the JC Penney parking lot. 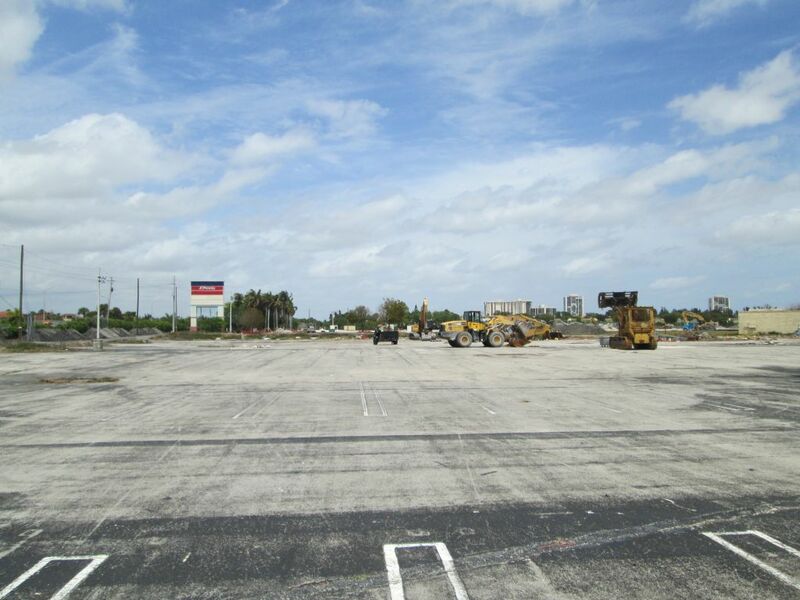 The space once occupied by Dillard’s, Macy’s and Sears is now bare ground. 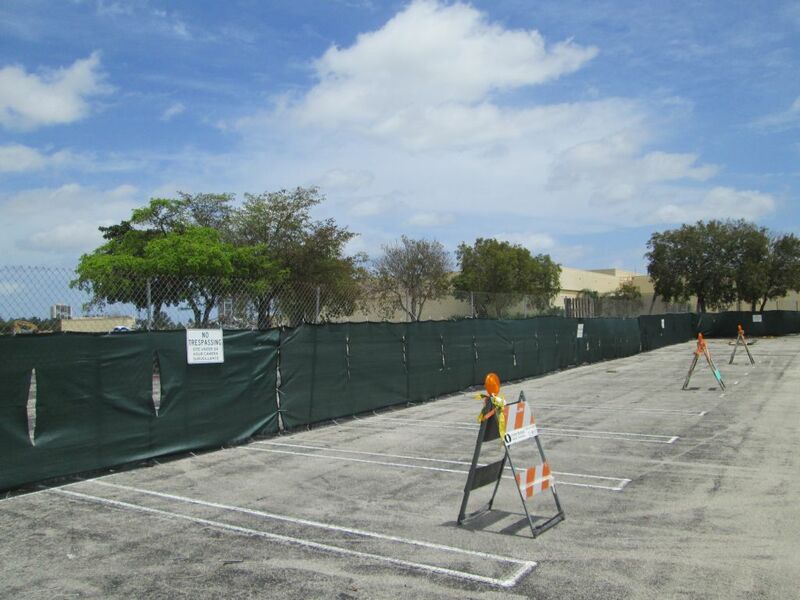 The chain-link fence that borders the construction site in the JC Penney parking lot. 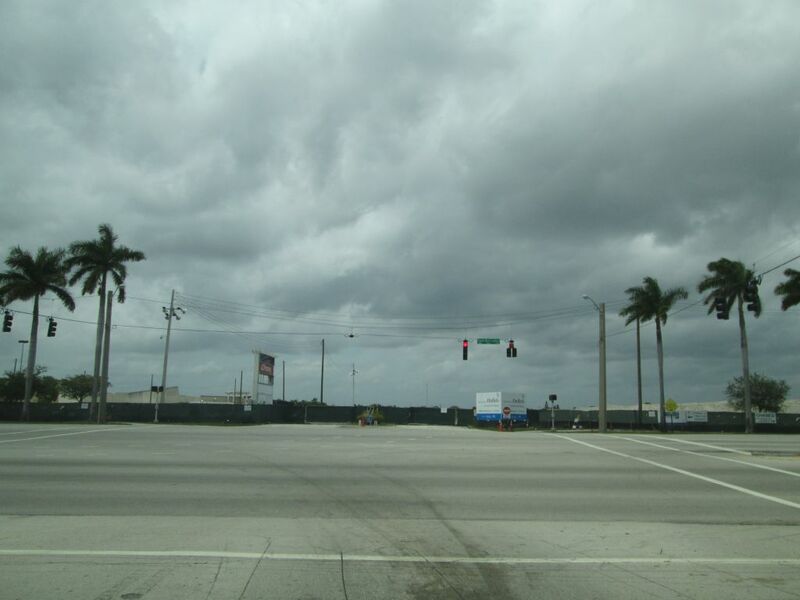 To take this picture, I went to the Target store across the street on Palm Beach Lakes Boulevard, which has its own parking garage and the store itself on the second floor. There is a Starbucks with seating next to the windows, and it is here I got the best view yet of the demolished mall. The most striking thing about this picture is that Interstate 95 is actually visible in the background to the north. There used to be a view of the Sears store where I once worked. The main entrance to the mall is now blocked off. No longer is it possible to drive the perimeter of the mall without the chain-link fence blocking your way. On a side note, I went to JC Penney with the intent on doing some shopping but ended up leaving disappointed. The menswear department no longer has the wide selection of clothing it once had and there are empty sections of floor where racks of merchandise once stood. Is this store closing soon too? The store does profess that it’s staying where it’s at but time will tell otherwise. 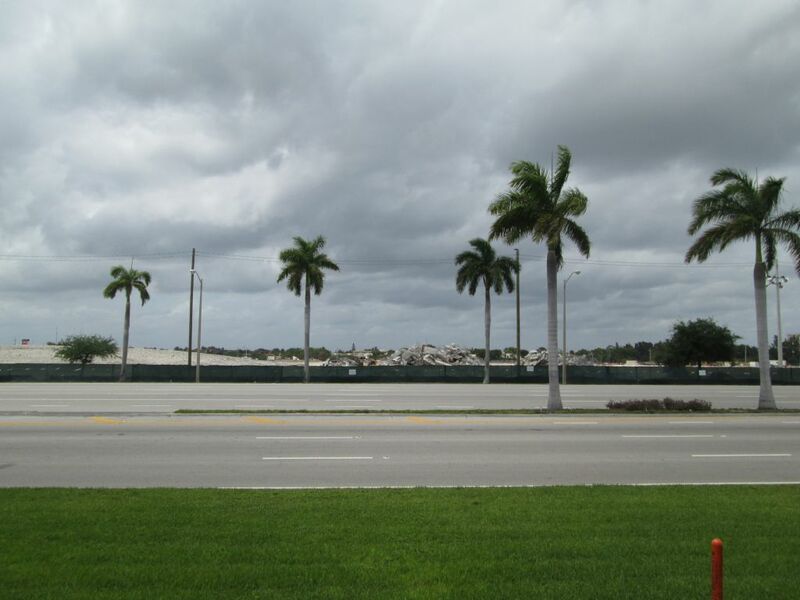 I’ll keep this blog updated with new pictures of the outlet mall as construction progresses. In the meantime you may wish to check out one of my older posts that has pictures I took inside the mall not long before it closed its doors. 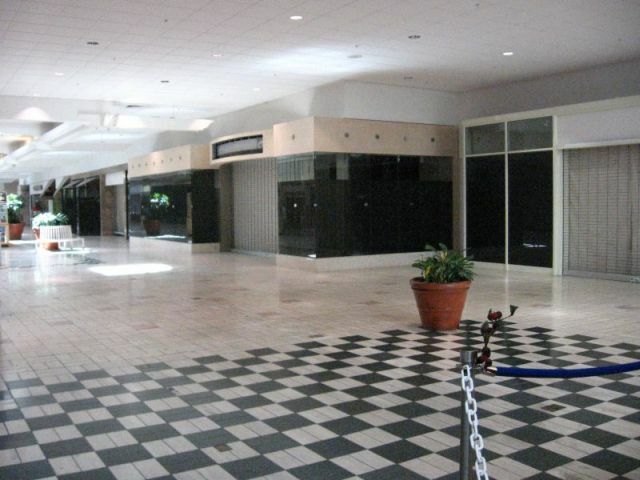 Requiem for a dying mall. The Palm Beach Mall really brings back lots of memories. I remember the days when it was a thriving place to shop, with stores selling everything from music to books to computer games. I have fond memories of visiting some of the stores that were once in business at the mall. I still remember there being a store called The Barefoot Mailman that had a nice selection of novelty gifts. I also remember a Woolworth’s being in business before that chain ceased to exist. I remember browsing at Waldenbooks, getting my computer games from Babbage’s, buying music cassettes at Spec’s and checking out the latest gag gifts at Spencer Gifts. I also remember there being a Jordan Marsh department store. The Palm Beach Mall even had a pet store that had cute puppies for sale. There was also a small movie theater that showcased the latest blockbusters. And of course, I remember depositing my quarters in the video games at the arcade. All that is gone now. Mostly it’s discount stores that sell cheap clothes and perfume. Not exactly the same as the good old days, though. My list of reasons to continue shopping at the Palm Beach Mall keeps getting shorter each week as more and more stores there close in anticipation of the upcoming remodeling efforts to turn the mall into an outdoor shopping center. It’s disheartening to go to the mall and see my favorite stores gone. 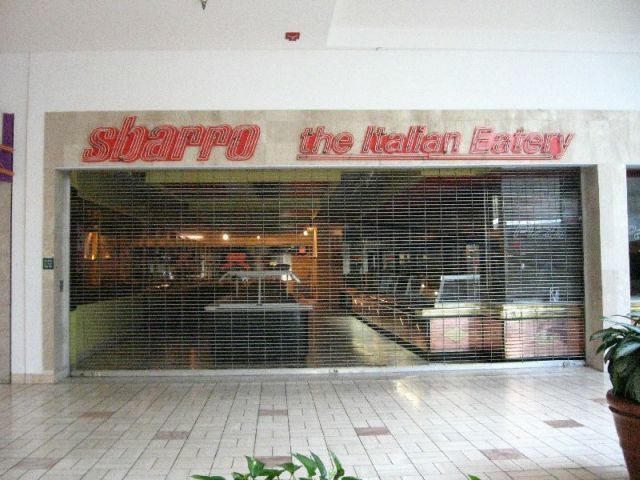 Sbarro, my favorite Italian eatery, is gone. 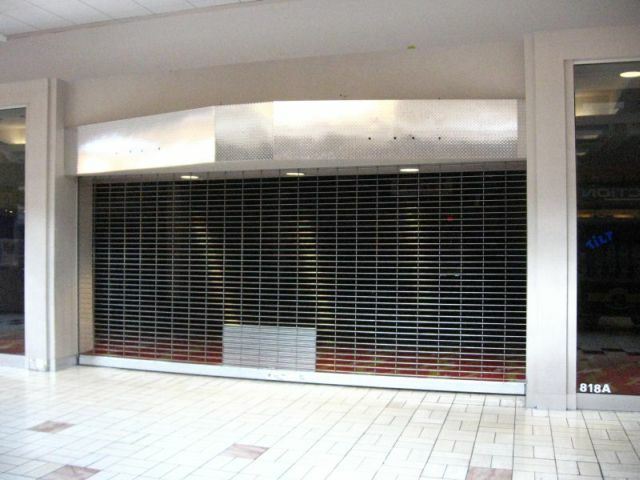 Tilt, the mall’s lone video game arcade, is gone. 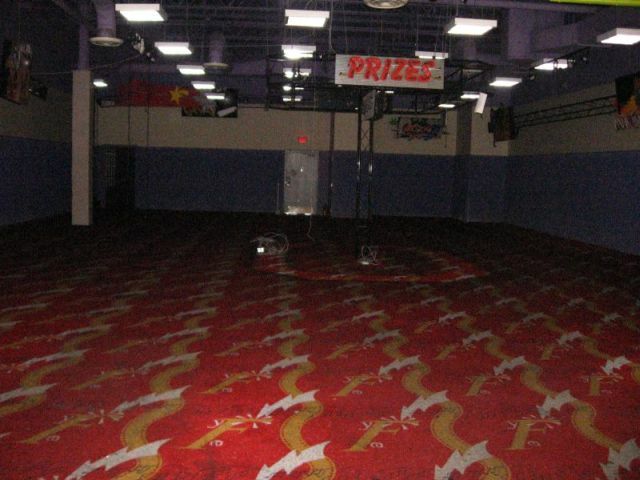 Here’s a look inside the empty arcade. Where did my favorite video games go? 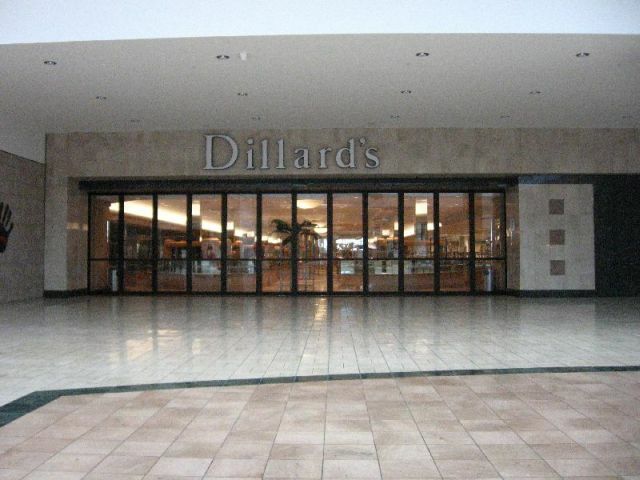 Dillard’s is gone. They just closed last week. 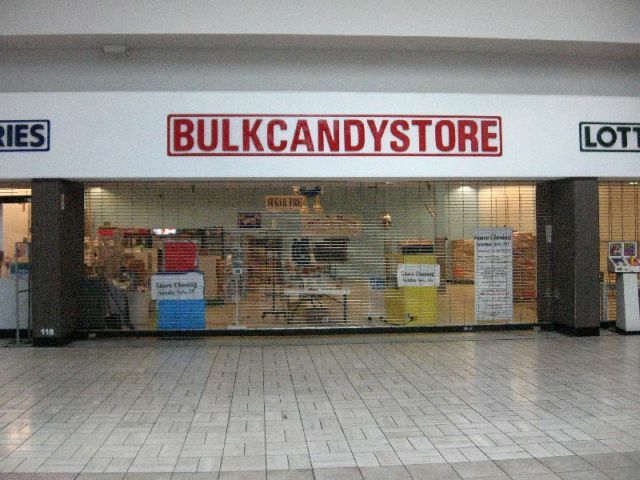 Even the candy store’s gone. The entire mall is turning into a ghost town. I certainly admire the remaining stores’ stubborn desire to hang on as long as they can while knowing they too will have to go. I really miss the good old days at the Palm Beach Mall.